Scores of retail traders lose money systematically – i.e. strategies replicating exactly their opposite trades, offer guaranteed pay-offs, given a statistically speaking representative time horizon, and sufficient capital to withstand the occasional loss. The question is: how does this come about? The answer is a cornerstone of behavioral economics. 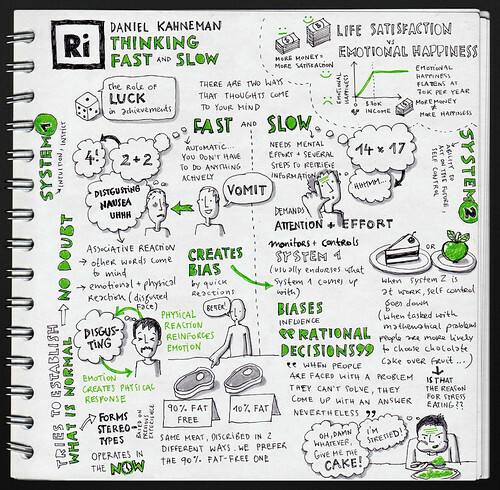 To understand the mechanics in detail, please refer to a fantastic book by Daniel Kahmemann, the Nobel prize winning economist who inspires many of our posts on the series “The House always wins”, including the explanation regarding loss aversion that follows. Imagine you’ve sued someone and taken them to court. You’re looking good: you have a 95% chance of winning and being awarded $1.000.000 in damages, and 5% chance of not receiving any compensation. Out of the blue comes someone and offers to pay you $ 900.000 regardless of what the verdict is, in exchange for the payout. What do you choose? Your humble blogger (and 99.9% of respondents when posed this question) takes the $ 900.000 and runs. In taking this choice, we implicitly take out insurance for $ 50.000 (the difference between the expected value of $ 950.000 and the $ 900.000 settlement) rather than face the frightening 5% chance of seeing the million vanish. Humans instinctively place value on certainty. Most of us are intuitively willing to pay an expensive premium to insure ourselves against an uncertainty with comparatively small probability, but devastating effect. Now look at the situation from the opposite angle: assume your attorney offered the party you sued to drop charges in exchange for a $ 900.000 settlement. Put yourself in their shoes, and answer in 5 seconds or less: would you take the deal? Let us guess: you probably wouldn’t! This is the paradox of risk aversion: whoever rejected this would give up arguably the best deal in their lives by risking a 95% certain promise of $ 50.000 (the expected value of $ 950.000 minus the settlement) in exchange for a 5% shot at saving one million. Somehow the human mind cherishes the small shot at a huge payout and eschews a certain, but less juicy outcome (95% chance of making 100.000). Now look at the exact same situation, but instead of looking at it with the eyes of a private individual of limited means, use those of the Chief Financial Officer of a large corporate with USD 1 billion in cash sitting idle, who regularly faces such lawsuits. What do you think he/she’d do? Yep – our CFO just took the deal. He/she looked at the situation, weighted probabilities and payouts, and took the “right” course of action. if you’re asked to play this game repeatedly and have plenty of cash to sit out the occasional (5%) adverse outcomes, in the long run humans switch on their “statistical mind” and can statistically be expected to make very good choices on a risk adjusted basis. The applications of both take-aways to financial markets in general and retail trading in particular can’t be overstated. This is the possibly the main reason why most retail traders struggle to close out losing positions AND similarly, why they rush to close out the profits on their winners. The results are well known: the more they trade, the more they lose. So remember that speculative trading is a 0 sum game: your win is someone else’s loss, and your loss quite likely is the House’s win. Now look at this picture.